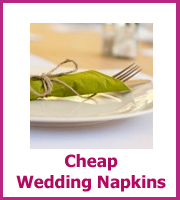 Cheap wedding reception! Yes please! 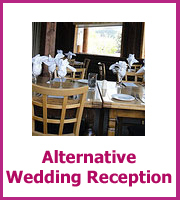 The biggest cost when you are planning a cheap wedding is mainly going to be your wedding reception. 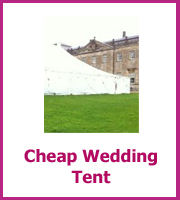 To finding secret venues that cost a fraction of more well known venues. 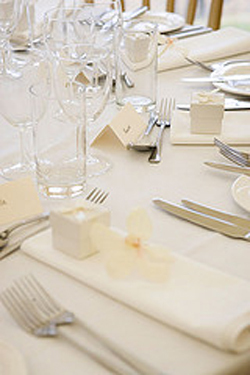 Here are lots of venue tips to help you save money. 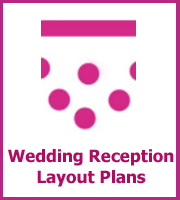 Wherever you live there will always be the traditional and highly sort-after venues, if you want your wedding reception there and you don't want to be paying top dollar then you need to be flexible. 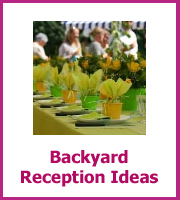 Firstly call and ask for wedding brochures from all of the venues in your town - this way you will know what the ball park figure of a normal wedding will be. 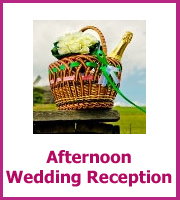 Most venue's wedding season will start at Easter and go through to September, with a few weddings at Christmas. If you can avoid these times then this will put you in a good place to negotiate extras into the price. The best time in most hotels is January, this is an historically quiet month and any business at the weekend will be good for them! If you were a conference booking then the hotel would be throwing in complimentary rooms for the organisers, free upgrades on other rooms and set menus at a reduced price. 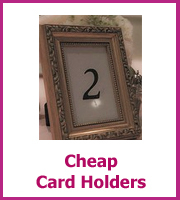 If the venue is not offering these for your wedding start asking if they are included. 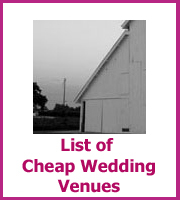 Tips to find great cheap wedding locations. 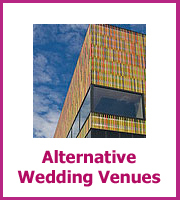 Ask to see the venue when it is set for a wedding, most places this will be the night before to avoid any last minute panics. Look at the attention to detail that the set up has got. Be nice to the sales person at the venue, eveyone likes friendly people and they are much more likely to give more to gain your business. 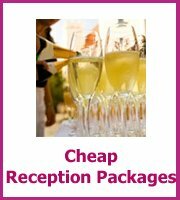 When you are planning a cheap wedding it helps to be cheeky, if you have decided on a particular venue, phone them up and say that you would love their hotel, bar or restaurant for your wedding reception, confirm numbers to them but say that you have visited other places which have come in slightly cheaper. 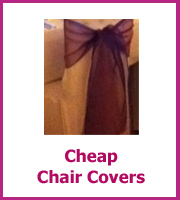 Is there any way that they could look at a discount or include extras to make up the cost? Explain that if they could then you would be happy to bring in your deposit that weekend to secure the date. 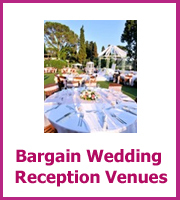 All venues love confirmed bookings and they will be used to this type of negotiation from company bookings, you will get some extras or they may meet you half way, either way you have saved money with a cheap reception. Entertainment can be another big expense, if you know a band or a dj then this can help in getting the price down or extra time on the night. 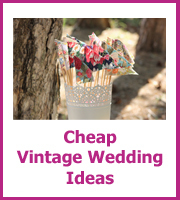 and money saving ideas for a classical wedding. If fireworks are your dream finale to your wedding but just too expensive then sky lanterns are a great and beautiful alternative. Have a look at our guide to sky lanterns here! Love the fact that so many discount and dollar stores have been stocking them recently, which would mean even more of a saving. Another great idea for your wedding reception entertainment is to look at creating a video montage of your romantic and special moments, some great cheap wedding video tips here! 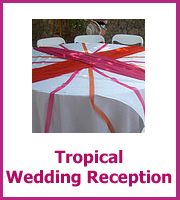 And if your guests like to have a giggle and flex their brains then you might want to think about some wedding reception games. Writing a dinner prayer for your wedding. Having your ceremony at your usual place of worship normally will cost less than if you are just choosing it because it will look good in the photos. What I mean by that is that you will know the people there and they will know you, this is about friends and not about them making money. Another way to save money is to have a Court House wedding, lots of great couples have started married life saying their vows in one of these. 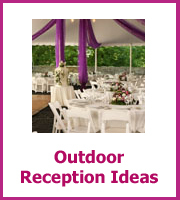 And another idea is to choose having your ceremony at a place that is magical to you. 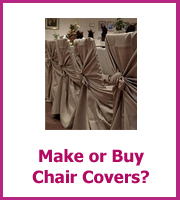 You will of course need to speak to the venue if it is a public place and there may be a fee. 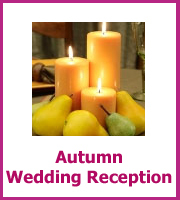 Plus you will also need to have an officiant there too. 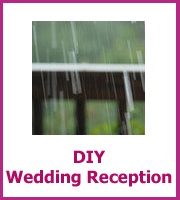 Wedding Officiant -A nationwide officiant, minister finder site for engaged couples. We are based in Arizona, but have a presence nationwide in USA. It's really simple- we receive couple's ceremony specifics, then choose the officiant, minister who meets our strict criteria.